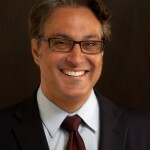 SAN FRANCISCO — During nearly two terms on the San Francisco Board of Supervisors, Ross Mirkarimi sometimes made headlines but remained scandal-free. As representative of District 5, which includes Japantown, his presence was welcomed at Japanese American community functions, especially those that addressed issues of planning, preservation and development in the neighborhood. When he campaigned for sheriff last year, the Japantown community held a fundraiser for him. Mirkarimi, who had the endorsement of outgoing Sheriff Michael Hennessey, defeated two Sheriff’s Department insiders, Capt. Paul Miyamoto and former Undersheriff Chris Cunnie. After Mirkarimi’s victory in November, everything went downhill. An alleged incident of domestic violence during an argument between Mirkarimi and his wife, Eliana Lopez, on New Year’s Eve has dogged him ever since his inauguration on Jan. 8. A video shot by a neighbor and turned over to prosecutors showed Lopez with a bruise on her arm. Mirkarimi has pleaded guilty to a misdemeanor count of false imprisonment and apologized to all concerned, but has refused to step down and has stated that he is still capable of running his department. On March 20, Mayor Ed Lee announced that he was suspending Mirkarimi and filing misconduct charges to be referred to the city’s Ethics Commission. She spoke at City Hall on March 20 along with Andrea Shorter of the Commission on the Status of Women and Beverly Upton of the Domestic Violence Consortium and Partners Ending Domestic Abuse. Murase is also a member of the San Francisco Board of Education. Mirkarimi’s supervisorial district included Rosa Parks Elementary School, where Murase’s two daughters were enrolled in the Japanese Bilingual Bicultural Program. Among those calling on Mirkarimi to step down are former Supervisor Aaron Peskin, now chair of the San Francisco Democratic Party Central Committee, and the San Francisco Chronicle. San Francisco District Attorney George Gascon said the false imprisonment conviction was as serious as the three charges that were dropped — domestic violence, child endangerment and dissuading a witness. The mayor, who will need support from nine of the 11 members of the Board of Supervisors to remove Mirkarimi, has appointed Vicky Hennessy, a retired chief deputy, to serve as interim sheriff. She is the first woman to lead the department. Lopez has recanted and refused to cooperate with authorities. Mirkarimi said he hasn’t spoken to her and is limited to visiting their toddler son for about two hours each day because of a court order. Currently, his wife is in her native Venezuela with their son. On March 19, a judge sentenced Mirkarimi to three years of probation and a year of counseling. Under the plea agreement, Mirkarimi must pay fines, serve probation, spend a year in a domestic violence intervention program, take parenting classes, and do community service. Mirkarimi said he was undergoing counseling to address “arrogance and anger management issues” and pointed out that he was an advocate against domestic violence during his time as a supervisor.